Many books have been written about Warren Buffett's value-investing strategy, and volumes more have been written about becoming a top-tier value investor. Even so, no one can touch the success Warren Buffett has achieved. Why? 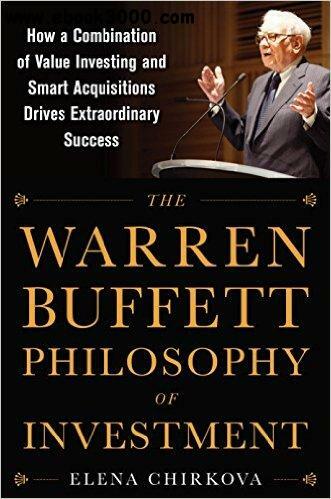 In this revealing examination of Buffett's success, practitioner, professor, and bestselling author ��lena Chirkova proposes the key to replicating his achievements is found in his acquisition practices as well as his investment strategy. Additionally, readers are treated to extraordinary coverage of how Buffett strategically set up Berkshire Hathaway to suit his personal long-term investment strategy and provide almost cost-free leverage. See how Buffett's singular acquisition tactics and portfolio investments earned Berkshire Hathaway the distinction as "the right home for the right people," which gives him access to deals unobtainable by other companies and investors. You're only investing with half a strategy until you take your value investing to the next level with The Warren Buffett Philosophy of Investment.